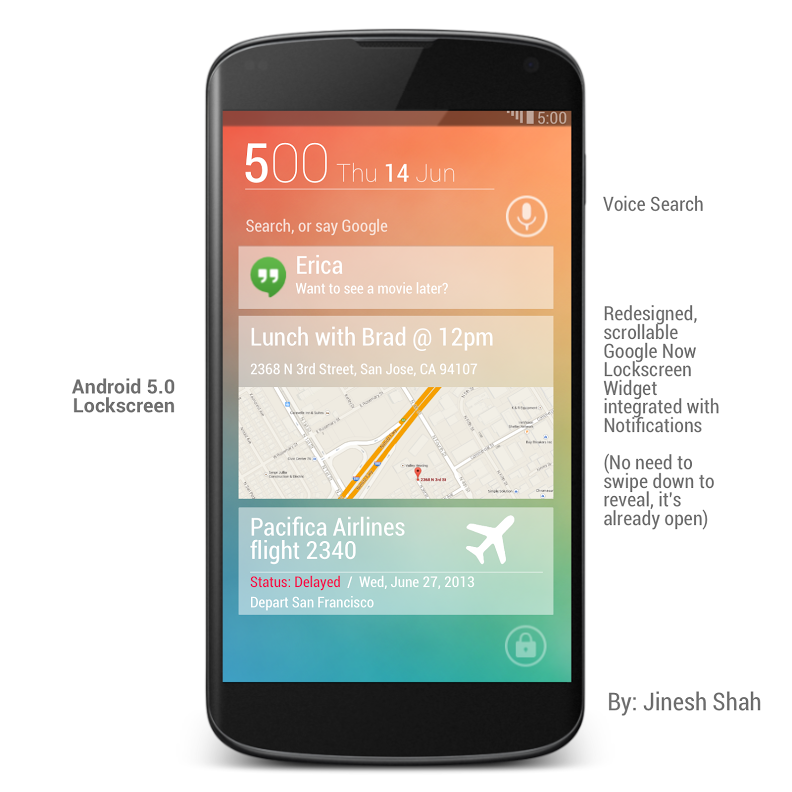 Straight from the lockscreen you would have access to Voice Search and a redesigned and scrollable Google Now lockscreen widget that’s integrated with the Notifications. Basically, he evolved the idea of lockscreen widgets into something more. 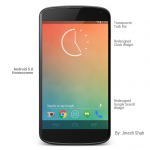 We’ve also got a transparent task bar now and a brand new and minimalist clock widget. 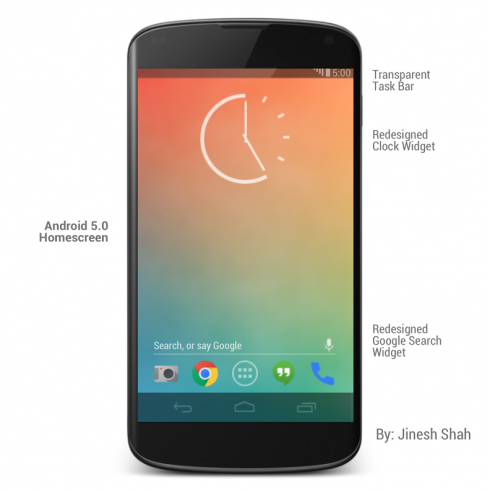 There’s also a redesigned Google Search widget in this Android 5.0 render, but not by much. Now you can pull down the notification bar in part and see a bit of it, for example the music widget. There’s also the option to have overlapping widgets that can be “tucked” to the sides, as shown in the images below. By the way, the 30 Seconds to Mars new album is not that good… aside from the track End of All Days.